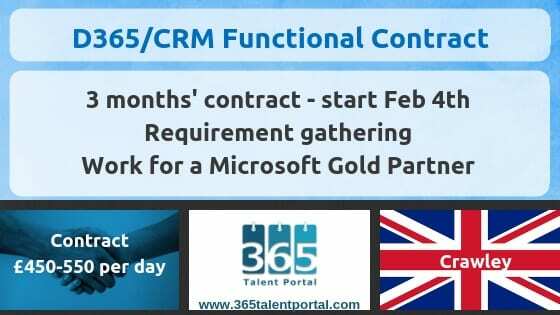 Our client, a fast-growing Microsoft Gold Partner, is looking for a Dynamics 365 CRM consultant to perform requirement gathering for their customer, starting February 4th. The client is a Not For Profit organisation located in Crawley (near Gatwick). You would need to be willing to travel to the customer’s site, as well as to the Partner’s offices in Brighton. Some remote work is also possible during the project.